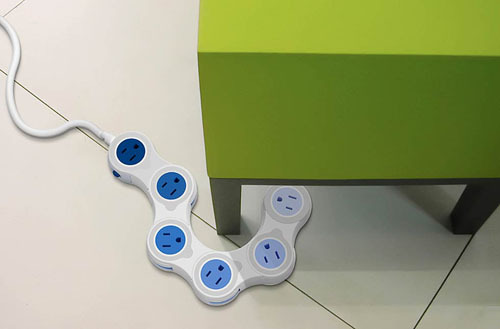 Power strips never want to budge, they just stay stick straight. Well thankfully Quirky Products is offering a new solution. This one will be able to move and conform to any shape that pleases you. It’ll make stashing it into small spaces a whole lot easier than the straight strips. You can even just put it in a zig-zag shape for silly decorative reasons. Being a Quirky product you get to feel more like you’re a part of the process. It shows you just how many units of the bunch have been sold and how much money is going to each of the inventors and contributers involved in the making of this odd little power strip. These are currently up for pre-sale for $23 through Quirky.